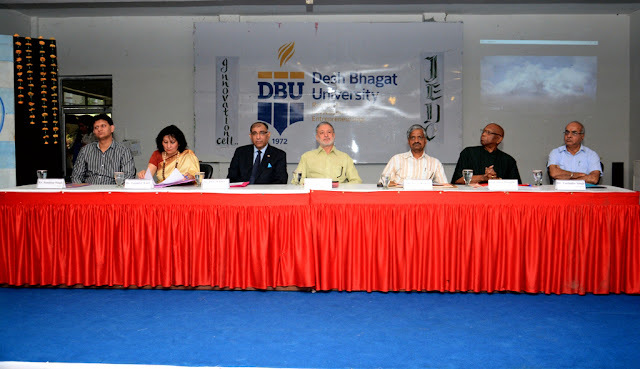 Desh Bhagat University has carved out a niche for itself by establishing an Innovation Entrepreneurship Development Center (IEDC) for the bright future of its students. A special program was arranged to inaugurate the center. 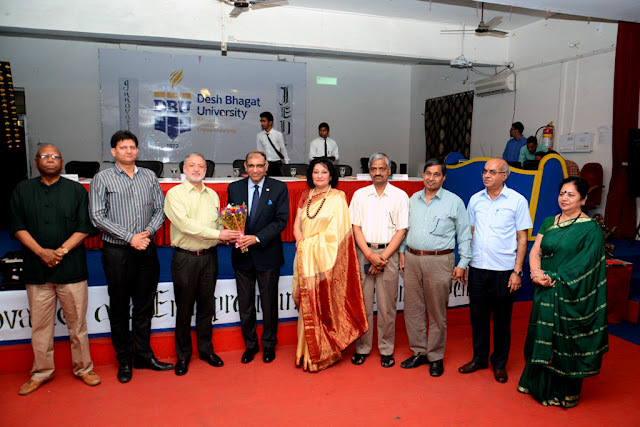 University Chancellor Dr. Zora Singh presided over the function asserted that we want to make our students future ready and this initiative will provide them firsthand knowledge, training and proper guidance to become an entrepreneurs. The EDP Cell has especially drafted several program to guide and trained them how to face with difficulties and pressure. The industry tycoons and experienced entrepreneurs will visit the campus from time to time to guide our students, he added. Vice Chancellor Dr. Virinder Singh welcomed all the guests. Dr. Dinesh Dua, CXO, Nectar Life sciences Ltd. was the chief guest on this occasion. He appreciated the initiative taken by the university and said that the students must set their goal and try their best to achieve them. He insisted that they should not worry about the initial failures and get maximum practical knowledge. While giving examples of many young CEO’s of different companies like Facebook, Flipcart, Instragram, Reliance JIO and some others he encouraged them to think big and dream big. He also shared his life experinaces with the students. 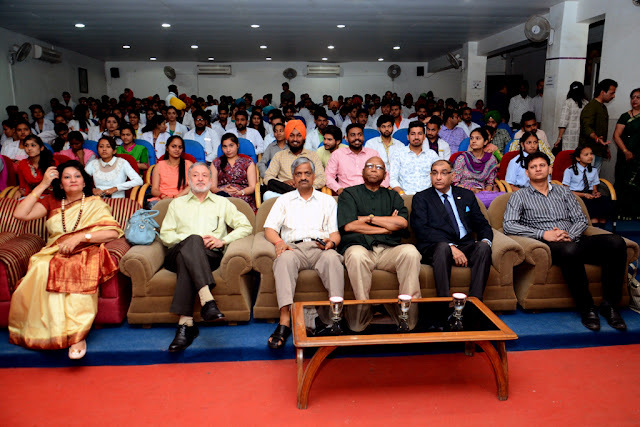 Mr. Vijay Kumar, Director MSME, Development Institute, Ludhiana graced the occasion as guest of honour. While addressing the students he gave details about financial assistance being provided by MSME to micro and small industries of the country and fresh entrepreneurs’ as well. He said if you have unique idea and develops a product than you can establish your own entrepreneur and MSME will give you not only required guidance but financial help too. He also discussed about the Digital India and Make in India programmes started by the Centre Government. Vice President Er. Sandeep Singh and Prof. Paul Douglas gave information about Equity Score (A USA based Company) app development Programme which the university has already started under Make in India programme. During the interaction session, students asked relevant questions on different topics which the learned speakers answered their entire satisfaction. 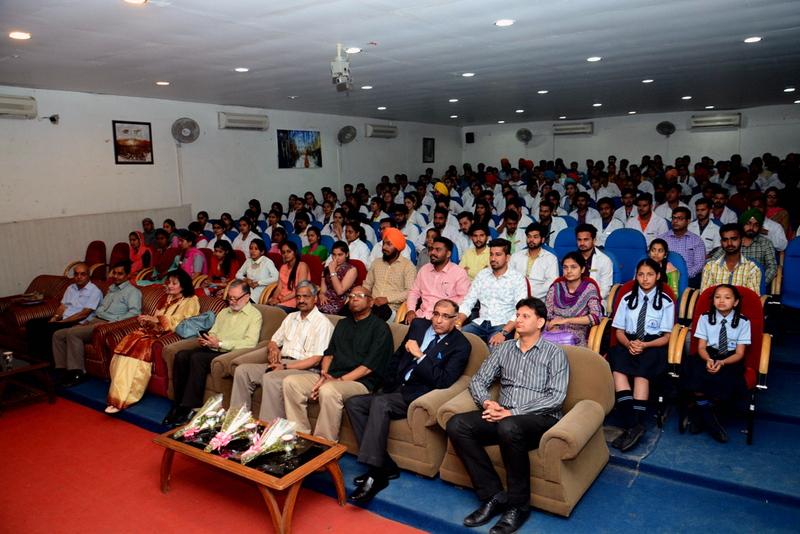 The guests also visited Student Entrepreneur Gallery, Equity Score Lab and EDP lab of the university situated in different departments.At the end, Pro Chancellor Dr. Tajinder Kaur proposed vote of thanks and expressed her happiness and appreciated the learned speakers for their valuable thoughts and suggestions. Pro Vice-Chancellor Dr. Neelima Jerath, Dr. Shalini Gupta, Dr. Surjit Patheja , HoD’s of different faculties were also present on the occasion.